The cleaning of a parking lot requires the use of trained personnel, state-of-the-art machinery and specific chemical products according to the type of dirt that may be found. Mplus always looks for a high quality result that is faithful to the philosophy of the company. 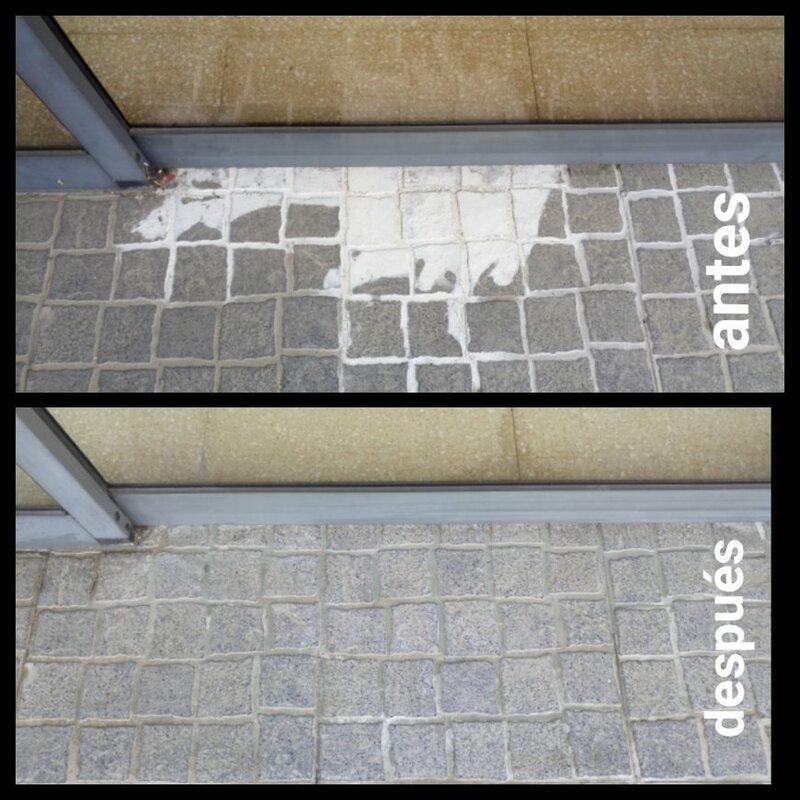 We can restore and eliminate the remains of paint that we often find on the floor of offices, shops, supermarkets, etc ... The improvement is amazing and the surface is again free of blemishes or imperfections. 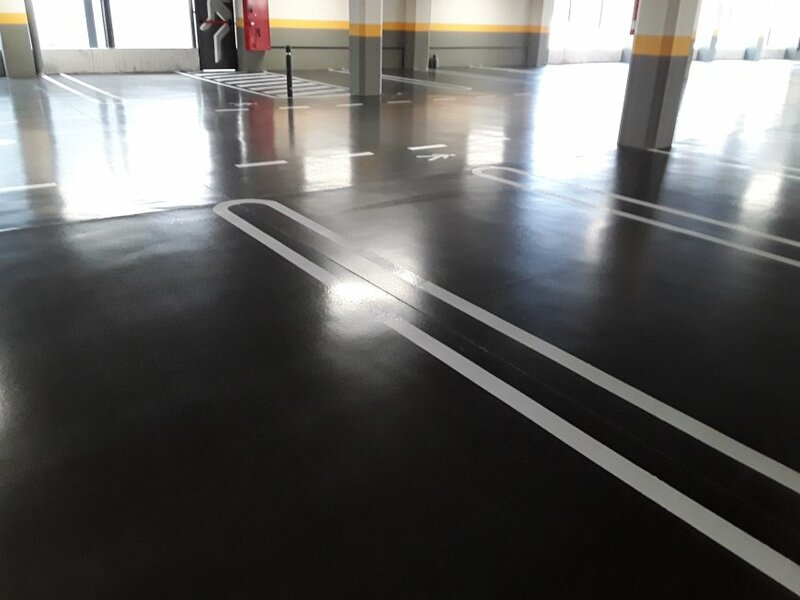 A totally clean parking with bright floor is a great presentation for any Shopping Center or Hypermarket. Mplus every month carries out dozens of services always ensuring the highest quality. 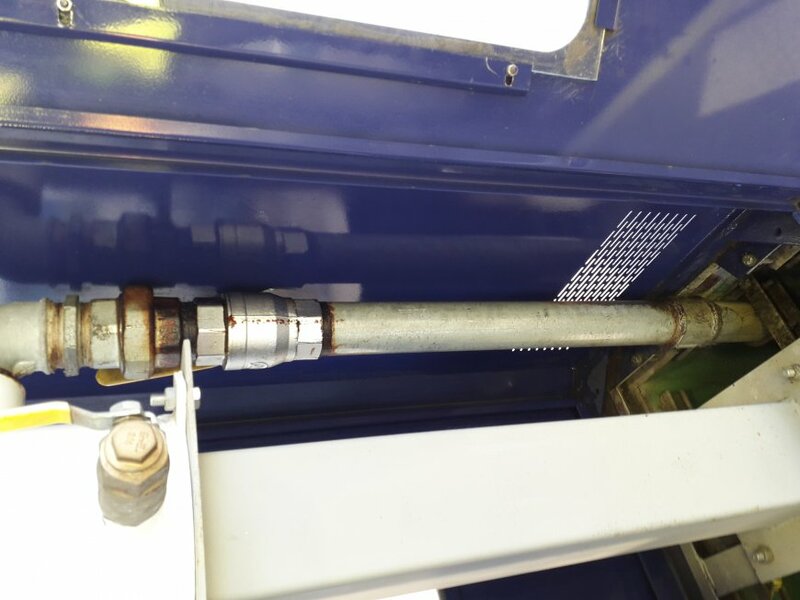 The filter boxes are points where fat, fuel and rusted areas are usually concentrated. Mplus has developed a cleaning technique that allows the surface to be returned to its original state. We offer extraordinary cleanings, height cleanings with experienced and trained personnel for this type of services. 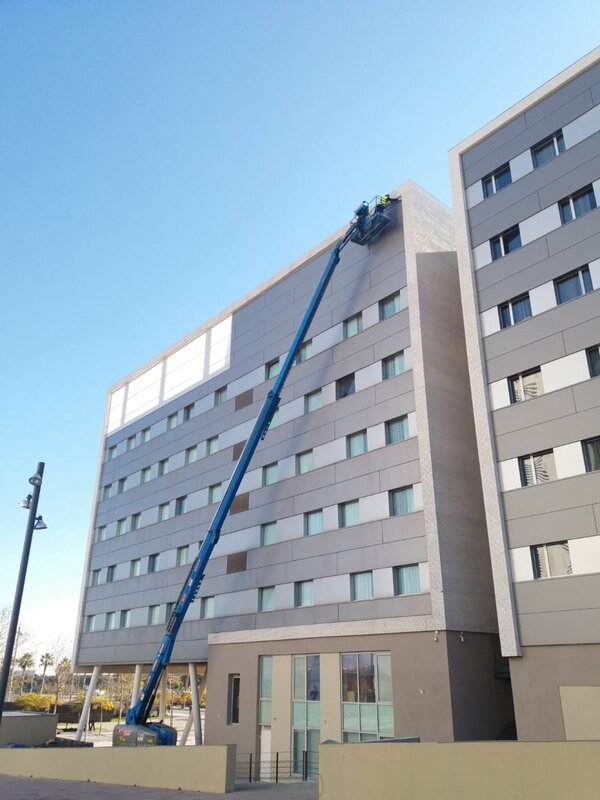 The height cleaning requires a greater specialization, our brigade can assure an optimal result and a high satisfaction of the client.